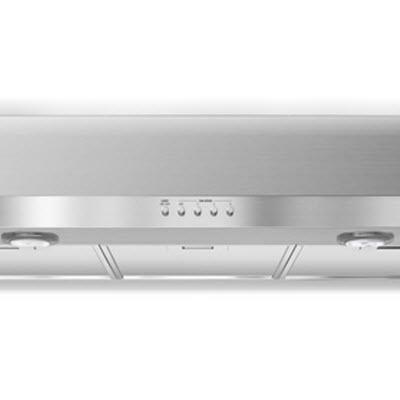 This luxury convertible under-cabinet hood combines stylish design with efficient ventilation. 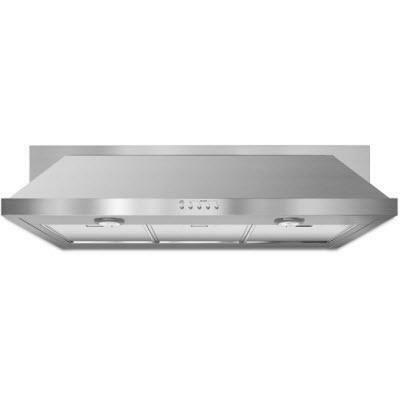 It features a high-performance 400-CFM blower, three speed settings and dual halogen work surface lighting. Additional Information High performance 400 CFM centrifugal blower; Push Button Controls with 3 speed settings; Classic and functional, under cabinet exhaust; Dual halogen worksurface lighting.